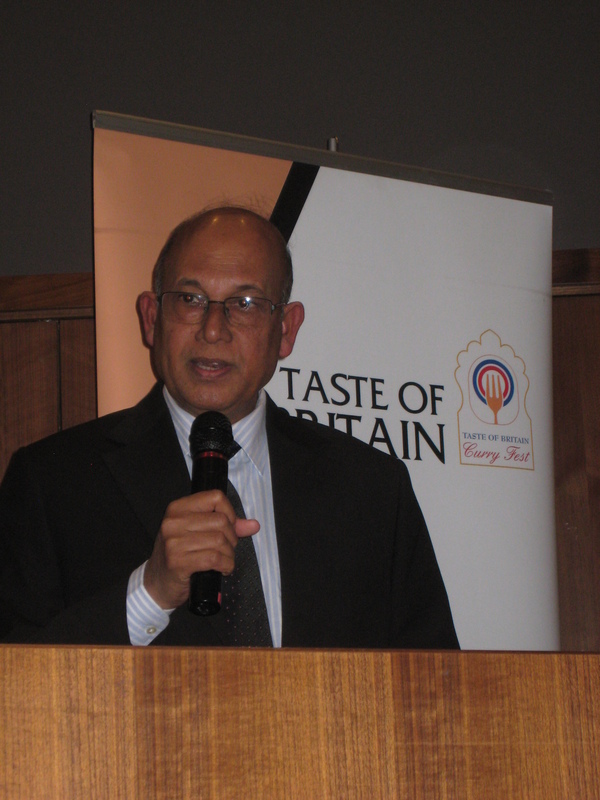 Last week I was humbled to be the guest of honour at the Taste Of Britain Curry Chef of the Year awards held at the Radisson Edwardian Hotel in Docklands. The dinner and awards ceremony had the cream of curry cooking attending. The Bangladesh High Commissioner Dr. M. Sayeedur Rahman Khan (pictured with microphone) spoke about the economic links between Britain and Bangadesh. I truly did not know how large the curry industry is in Britain and also Europe. 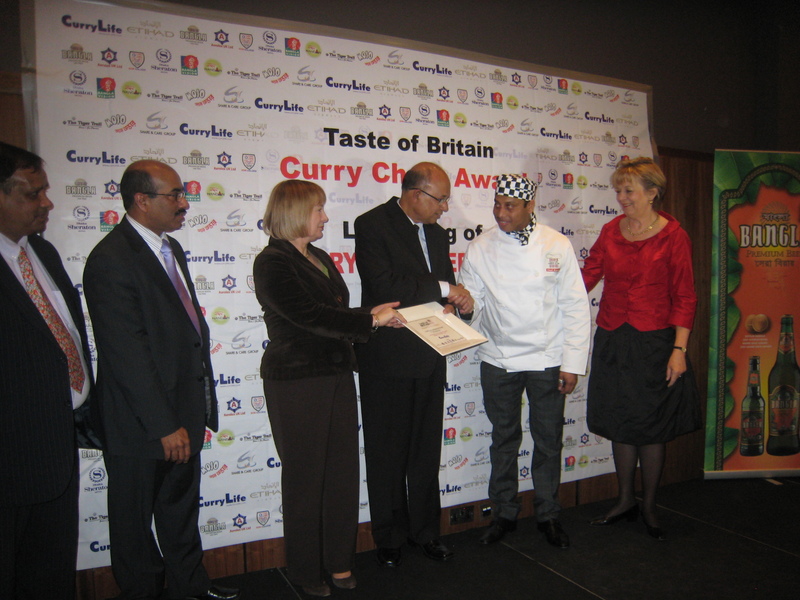 I am pictured presenting the award for the best curry chef on mainland Europe. As a Londoner I am proud that Bromley has more curry restaurants per head of population than anywhere else in the country. There is one curry house for every 853 houses in Bromley! We were entertained by a series of traditional dancers and it was refreshing to go to an evening event where there was no alcohol! My thanks to Syed Pasha the Editor of Curry Life magazine who ably hosted the evening and to my old friend Parvez Ahmed (pictured to my left) who is a walking encyclopedia of the British curry industry. It was also a pleasure to see my former colleague Robert Evans who stood down as MEP for London last year. He has been busy practising his Bengali and gave a large portion of his speech in Bengali with a wide vocabulary (I’m told), but slightly varying fluency!